Very powerful with grid plate technology. SIGA deep-cycle Traction Batteries are very deep cycle and find their application primarily in the driving range. A reliable source of energy associated with a high lifetime in electric vehicles. 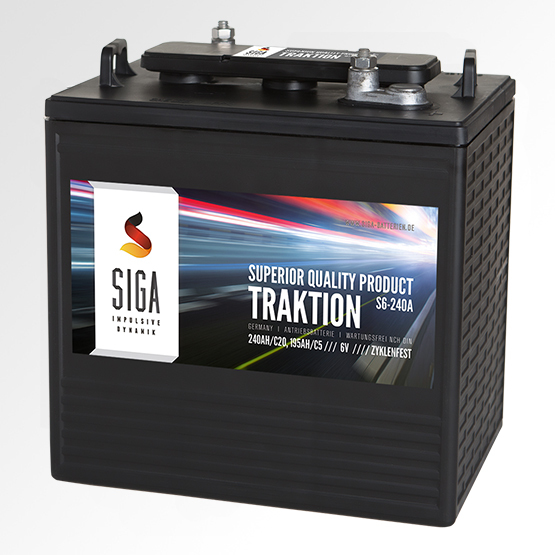 Many customers appreciate the SIGA Traction Batteries for applications in the field of electric vehicles, aerial work platforms, golf carts, cleaning machines, electric vehicles etc. They are also very well suited for renewable energy such as solar and wind power plants.